DISCLAIMER: Gamelust was given a copy of Depraved from Evil Bite Plug In Digital to review. This does not affect our opinion of the game whatsoever. It’s not often we receive a good western game. 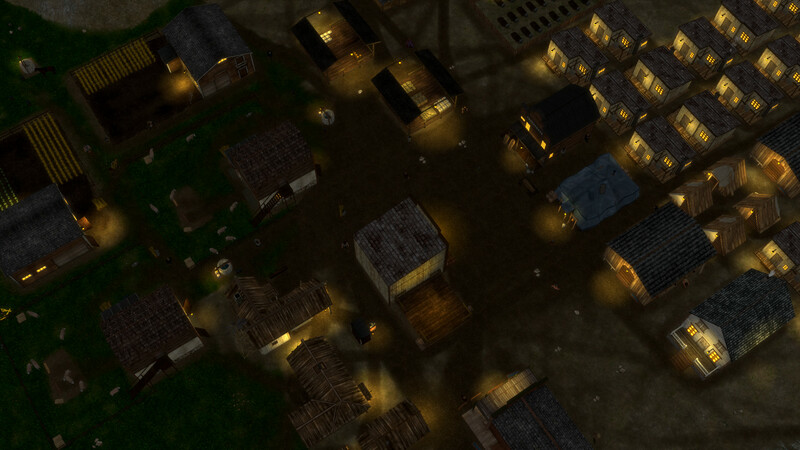 Developers face the tough task of replicating the Old West while making it a fun experience. Classics such as Call of Juarez and Red Dead Redemption have mastered the art of creating a hog-killin’ time. Depraved is a city builder set in the 1800s when Americans were strolling across an untamed frontier, slinging pistols and speaking with a Southern accent. It’s a time that’s been glamorized in pop culture for donkey’s years; Clint Eastwood is a household name and is known for his spaghetti westerns. In video games, Red Dead Redemption offers an expansive wild west to explore and interact with. 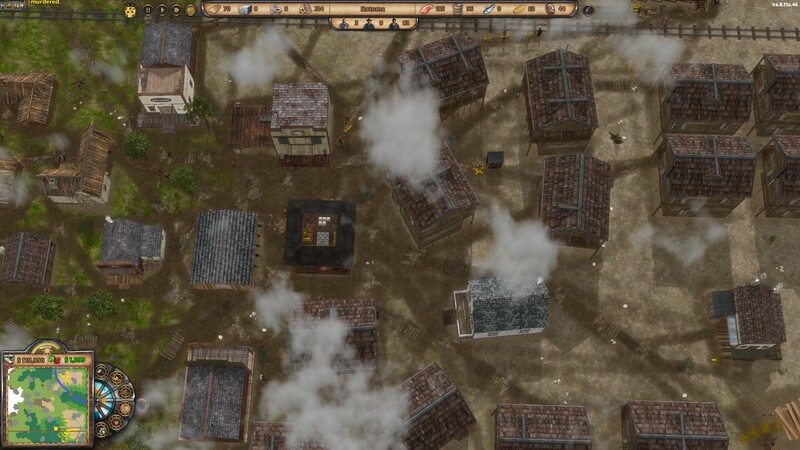 Depraved takes the popular west, putting you in charge of building cities from the ground up. Keep tabs on your citizens who each have their own needs to prevent them from causing social turmoil. The game starts out as does any other city builder does; you’re given a nod of guidance as you expand your minuscule town into a thriving city. Unfortunately, it took me two cities to reach a level where my group of buildings could be classified as a city. Meeting citizen’s needs became a pointer for whether I was heading in the right direction but not all citizens were happy with the town I was creating which was part of the reason my two cities degraded to dust. The other reason was bandits. Throughout your city building adventure, you’ll encounter a group of bandits that occasionally threaten you into providing them with money. If you repeatedly fail to cough up, they’ll start attacking your civilization – looting resources and killing innocent workers. Eventually, this (and the repeated razing of houses by my citizens) drove my city into the ground – quite literally. This was a feature I grew tired of as I spent hours ensuring my cities could withstand these attacks. Of course, I could have hired a gunslinger to fight off the bandits but that was difficult since my gold reserves had almost come to zilch. When my city was functional, Depraved was fun. I enjoyed watching the civilians go about their tasks which was either gathering resources or building. Placing down buildings became a guilty pleasure of mine as the system is easy to use although you’ll have a hard time getting the building to face in the direction you want (unless you have a abnormally sensitive finger). As I watched my city grow from a hamlet into a city, I felt a sense of achievement, I was proud. As night fell on Natoma (the city’s name), Depraved began to win me over. Something about watching your citizens carry out their daily lives got to me. Each citizen had their own name and could be controlled. Want to follow them while they do their job? How about putting them to sleep? Citizens aren’t just another part of the game, they’re unique. After expanding my empire, I decided to settle another city. Expansion is a key part of Depraved as it offers the ability to set up trade routes which allows you to move resources between cities. This can be handy for your outposts that are lacking natural resource deposits. For example, down south I had a city that had no access to bodies of water meaning any sort of fish production was off limits. Luckily, my northern town was next to a river and was producing fish. Using the trading outposts, I set up a route and just like that my southern city reeked of fish. As I unlocked more and more buildings through expansion, I was given the option to upgrade my residential buildings to contemporary houses – and then apartments. This allowed for a bigger and better city. Depraved is a remarkable game. It’s a game I went from hating to adoring. Although it has flaws and a steep learning curve, the game has a euphoria moment. A moment you reach when your cities are booming and your personal wealth is well into the positives. It’s a moment you want to cherish. I honestly want to play this myself. 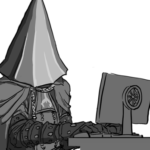 Let's hope depraved becomes a success to come to consoles.